In Stephen King's horror classic It, the battle between Pennywise the clown and the group of children known as "The Losers' Club" is fought both in their childhoods, as well as their middle-aged adult years. Casting each member is key, across both age groups, and the younger half just landed its leader, as up-and-comer Jaeden Lieberher has been cast in the role of Bill Denbrough. 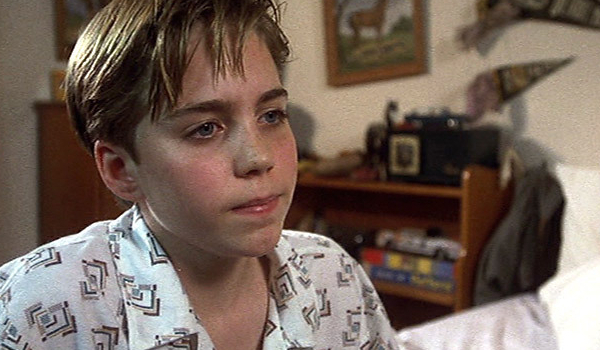 This news was landed by Variety, as they reported that Lieberher, the star of such films as St. Vincent and Midnight Special, had landed the role originated by Jonathan Brandis in the 1991 TV miniseries. Bill, the leader of the Losers' Club, comes to know Pennywise after his younger brother, Georgie, is killed by the menacing clown. This is the second role that's been cast in the reboot that is being directed by Andres Muschietti, who is best known for previously directing Mama. The first was, naturally, the role of Pennywise, which went to Hemlock Grove star Bill Skarsgard. The casting of The Losers' Club is key to the success of It, as both the younger and older incarnations of the characters will be developed with their own film dedicated to their storylines. So naturally, the younger cast will have to build a strong foundation for the actors playing their adult counterparts to follow. Much as Jonathan Brandis and Richard Thomas' performances linked the past to the present, Jaeden Lieberher's portrayal of Bill will be linked to whomever is cast in It's second installment. As far as we're concerned, Lieberher's casting is an assurance that the role of Bill Denbrough will be in good hands. If we were to choose one of the two big ticket films that Jared Lieberher has starred in to prove his worth to the cast of It, we'd have to say that his role in this year's indie offering Midnight Special is enough reason. To provide a performance that can stand up to not only Michael Shannon's intensity, but also to Joel Edgerton's similar stoicism, is enough proof that taking on whatever the latest adaptation of Stephen King's best-seller can throw at him. You can see a clip from that performance, as an example, below. It will be see in its first installment on September 8, 2017; with the second installment still awaiting a date.